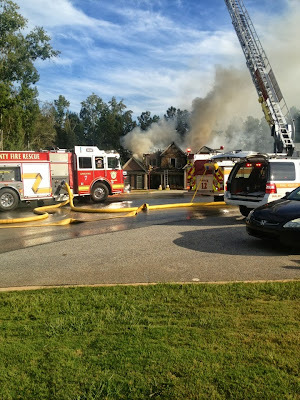 Our week started with a house fire in our neighborhood. Thankfully, everyone - pets, too got out safely. But to see the many fire engines, the first responders and the multiple city vehicles drive by our house on this beautiful afternoon and to see the smoke rise from over the trees, a very short distance in front of our house, broke my heart. We immediately prayed. About an hour and a half after we watched the first engine pass our house we walked down the street to where the house was burning. We knew our neighbors were safe. We wanted to let them know that we were willing to help in anyway they may need, and to simply support them. I also wanted our kids to see true heroes in action. We couldn't get to our neighbors that afternoon, but later in the evening my husband went back to their home and gave a gift to this precious couple. ~ In the immediate time after a fire, we've heard from others that have been through this, that money and gift cards are the biggest blessings. The fire was still burning. 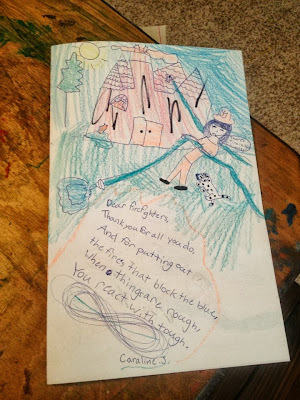 The next day, we baked treats and made cards for the fire station closest to our home and for our neighbors who were home picking through the debris. Thankfully, even though their house is a total loss, most of their clothes and a few precious keepsakes were spared from the fire (but not from water damage) in the master bedroom's closet. The firefighters welcomed us into their station and gave us a wonderful tour of the engines and invited us back anytime. We found out that one of the guys was actually homeschooled - way back when. We also learned there was another fire station that responded to the call. So a couple of days later the kids made more cards, and we baked more treats for that station, too. A Quick and Cheap Fix! Ryan was having issues with his handwriting book. It would not lie flat and it irritated him to no end. Now, I've had e-books printed and spiral bound at our local office supply store. Did you know they can cut bindings off of books, too? 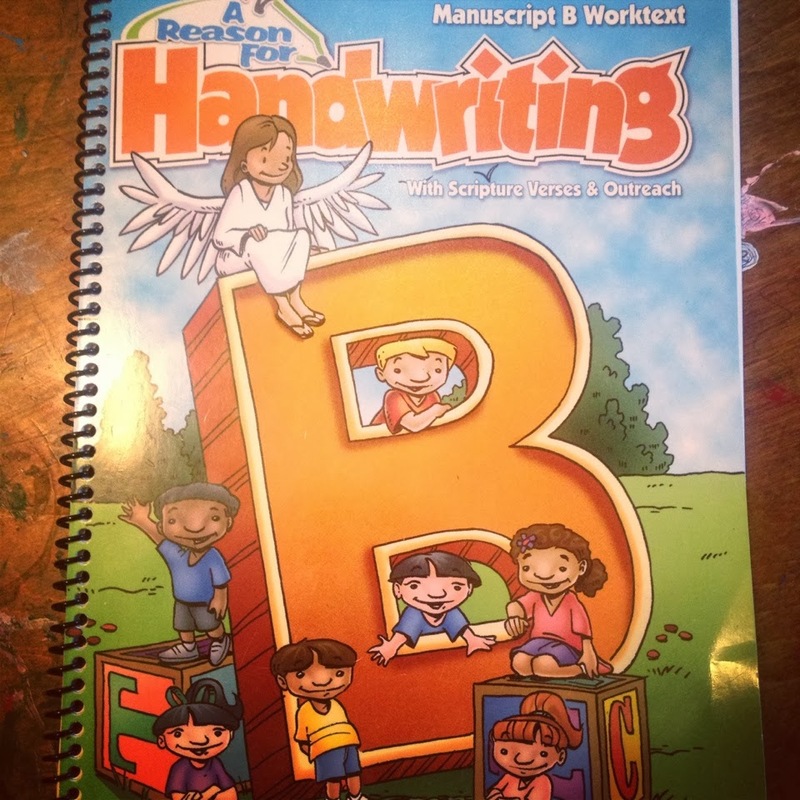 So, to cut off the binding and have his handwriting book spiral bound cost less than $5 and took less than 15 minutes. I wish I had done this a month ago! We have an eleven pound, two year old Boston Terrier. We all adore her! We also have a niece (cousin) set to arrive the first of December. Caraline has been pretending Betsy is her little baby a lot lately. She's been reading nursery rhymes, feeding her "bottles" ( Lickety Stiks ) and rocking her to sleep. She even made up a schedule of when to feed, burp, rock, read, etc. 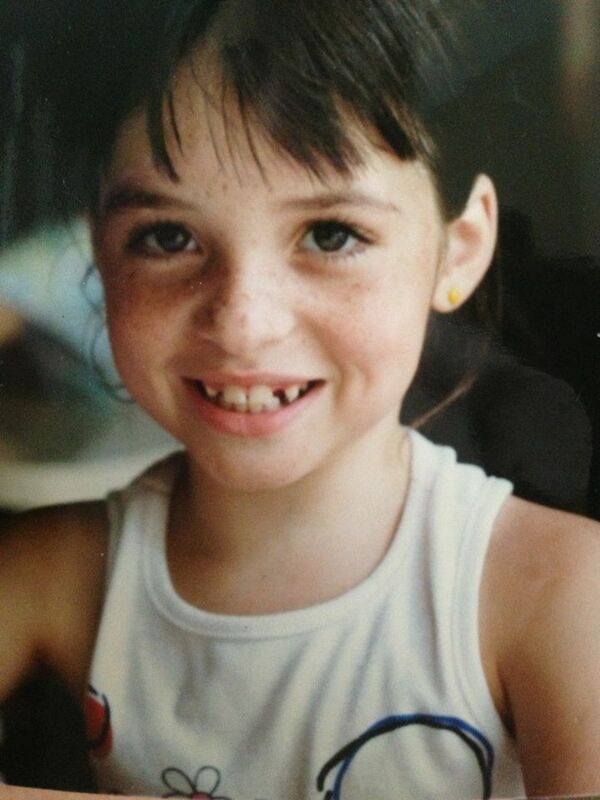 to Betsy - so cute!! 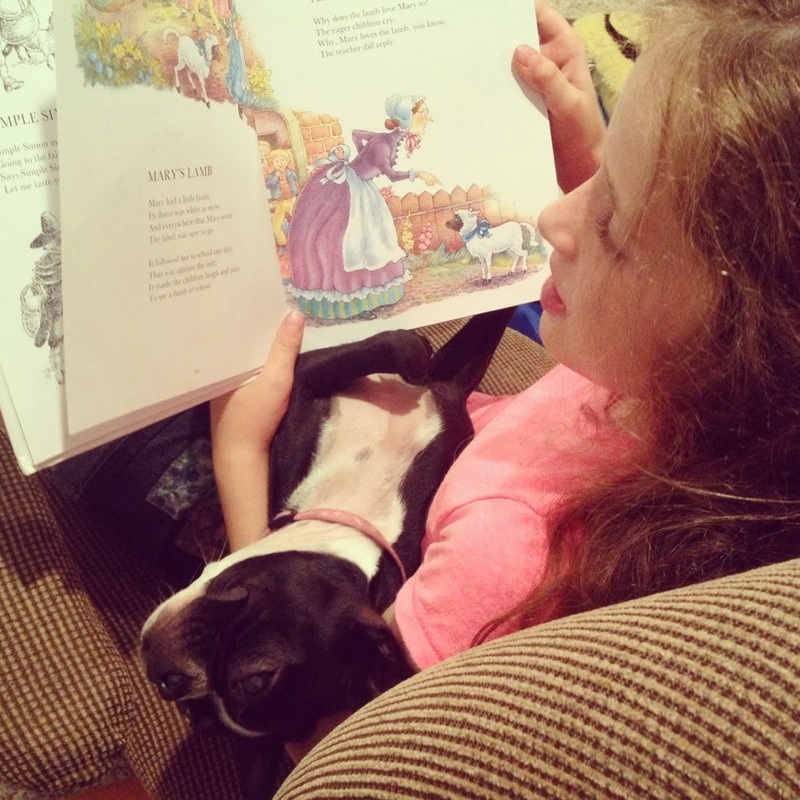 We'll on this night, Carline spent over an hour singing softly the nursery rhymes in our Mother Goose book. It wasn't long until little brother pulled a chair up to listen, too. This completely warmed my heart. We also reviewed a fun, award winning politics game called The Presidential. In the next few weeks I will need to make a decision about this blog and returning to the TOS Review Crew. It's certainly blessed us this past year and a half with fun and educational items to review and share with our friends. I've also met a lot of wonderful ladies through The Crew, too. I love sharing my thoughts and ideas on the blog. I hope I encourage. But, I wonder the eternal significance of this. I have children at home right now. They will not always be at my side. Am I using this time with them wisely? Is blogging what God has called me to do, along with raising our family? Sometimes I feel the answer is yes. Other times, I feel my family needs me available more. I will be in earnest prayer over this for the next few weeks. 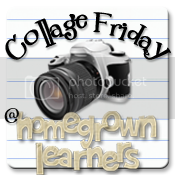 This week I am linking with our friends at Homegrown Learners for Collage Friday, The Homeschool Mother's Journal and Weird UnSocialized Homeschoolers' Weekly Wrap-Up. "Think you have what it takes to be America's next President?" Our family loves to play board games, but we don't own any that are political in nature. When our nine year old looked over The Presidential Game's website with me, she declared, "We must play this game!" 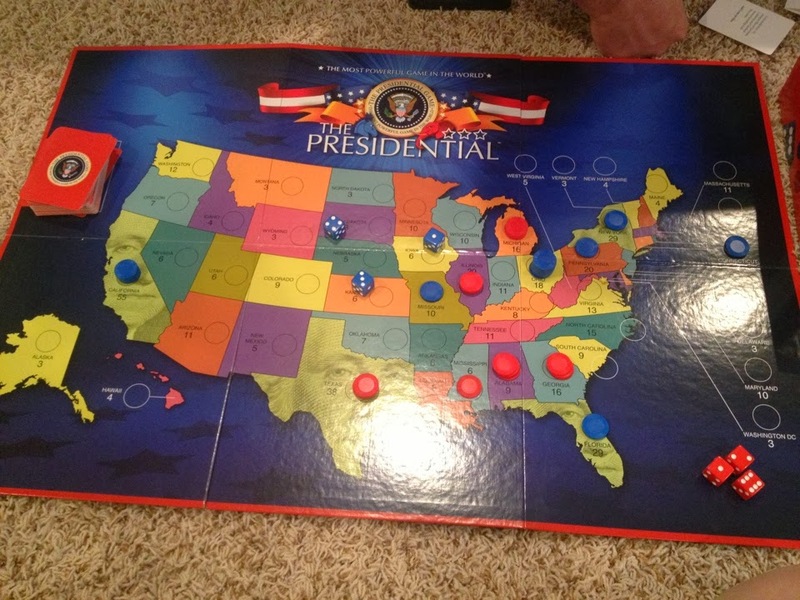 The game board is a current Electoral Map of the United States. Winner of multiple awards, The Presidential Game is a family game of strategy between two teams, the Democrats and the Republicans. The Electoral College comes into play as each team vies for control of states by winning more than 270 electoral votes, out of a total of 538, at the end of the game. Votes are gained (and lost) by either Fundraising or Campaigning. 1 20" x 30" game board, 1 score pad, 3 blue dice, 3 red dice, 80 Politics Cards, 40 Write-Your-Own Politics cards, 150 Republican votes (red chips), 150 Democrat Votes (blue chips), 1 Electoral Webmap Calculator access code. A full set of directions can be downloaded on the FAQ's page of the Presidential Game. Simply put, on each turn, a team decides whether they will go Campaigning or Fundraising. If Campaigning, the team chooses any three states to campaign in. Three dice are rolled. Your team decides after the dice are rolled which dice will correspond to each of your chosen three states. The number rolled will be the amount of votes given to that state. If Fundraising, there are only four states available, NY, CA, FL and TX. Your team will choose one. Then roll two die. The total number rolled is the amount of votes you've "won." Your team can choose to keep all of the votes for your Fundraising state or put half the votes in the Fundraising state and then spread out the remaining votes to other states in any way the team wishes. Then, a Fundraising card is drawn. Most of the cards are hilarious. But, in my opinion, this is the part that can make this game a little more adult oriented, due to wording of the cards. There are forty blank fundraising cards that can be used to remedy this situation and plenty of original cards that are kid appropriate. Your uncle gets drunk on cheap beer at a political picnic. Your opponent adds 1 vote to Georgia. * Play immediately. So, those cards I wouldn't keep in the Fundraising card pile to play with our little ones, but the ones below are examples of cards that are appropriate for our children to play with. Your opponent is interviewed by ESPN but forgets who won the Super Bowl, even though it was his/her home team. Pick up 4 votes to be used any way you like. 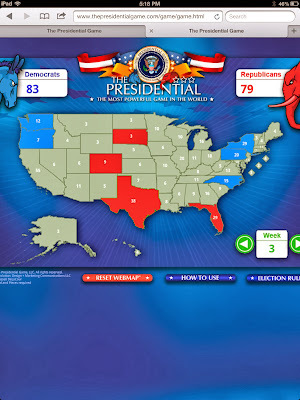 There is an online electoral webmap calculator for the game, too. Or, a paper and pencil score card is included with the game if you prefer. I would consider this game to be moderately complicated and correctly aged for eleven years and up. Even though our oldest is about a year and a half younger than the recommended eleven years old to play, she was still successful and had fun with the game. We even brought in the little brothers (five and seven) to play along, too. Their main contributions were rolling the dice, picking cards, states and counting chips/votes. I dare say we've all improved our US geography skills, learned a lot about the Electoral College and the election process, too! We would generally play a seven week game. It would normally take our young family about thirty minutes to play those seven turns. The Presidential Game suggests a 30 week game would take about an hour. 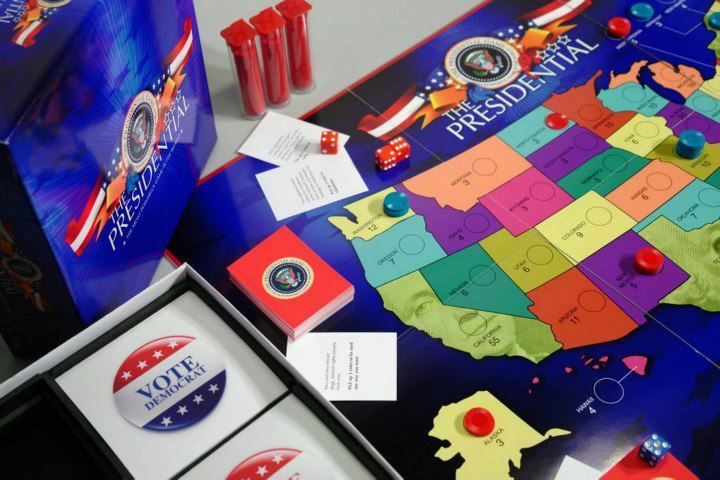 Pricing: The Presidential Game retails for $35, plus shipping. 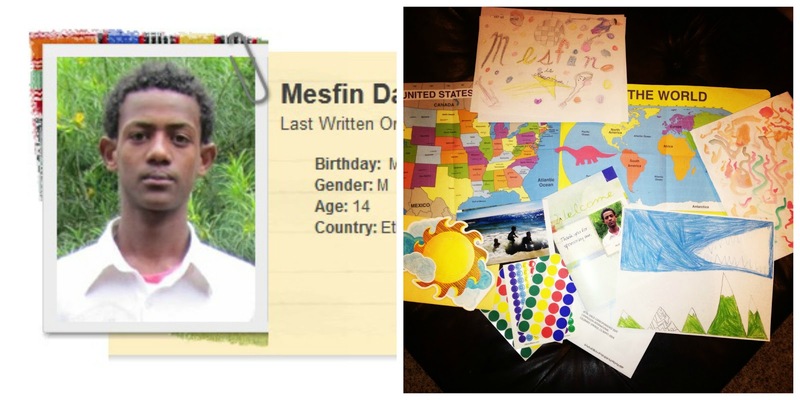 Our week began with preparing a package for fourteen year old Mesfin, who lives in Ethiopia. We are correspondent sponsors for him through Compassion International. Each little one drew Mesfin a picture. Caraline thought of things a fourteen year old might like. She drew a boy on drums, a guitar a soccer ball and other "boyish" things. Ryan drew the Himalayan Mountains with a fish in the sky, and Jonathan drew Mesfin a big water color page of worms. He thought Mesfin might like worms since he loves them so. We marked our home on the US Map and both of our homes on the World Map for Mesfin to keep. We wrote lots of messages to Mesfin: on the back of the maps, on the back of the pictures of our family, and on the back of the drawings. We included a few stickers, too. Oh, and a die-cut long neck dinosaur, per Ryan. Mesfin's birthday was in June, we didn't know him then. 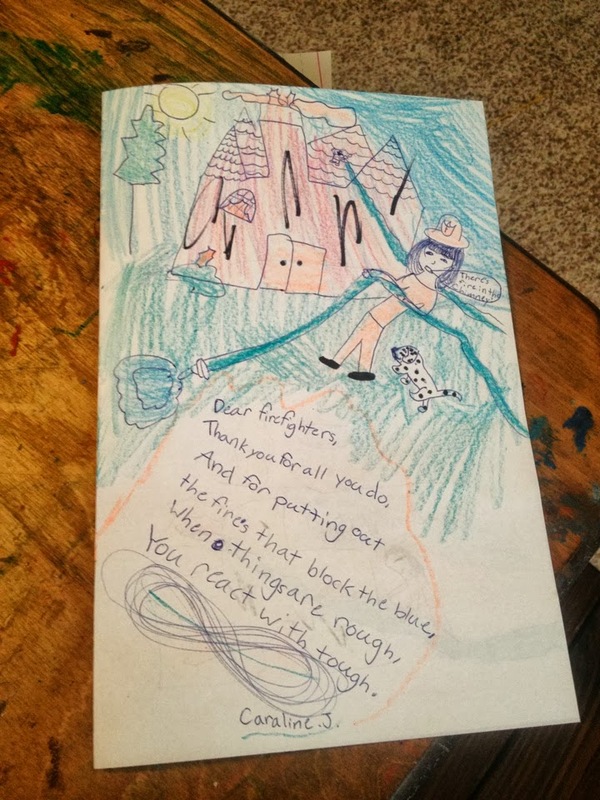 We sent in a singing birthday card, too. The folks at Compassion say the musical cards are such a big hit. Everyone enjoys dancing to the music! This one sings "I'm Walking on Sunshine." Blog Month 2013 is happening now for Compassion International. We are hoping to release over 3,000 children from poverty. If you've ever thought about sponsoring a child now is a wonderful time to do so. You can make a huge difference in a child's life. I love what being a sponsor is teaching our kids, things like compassion and having a deep love for others. 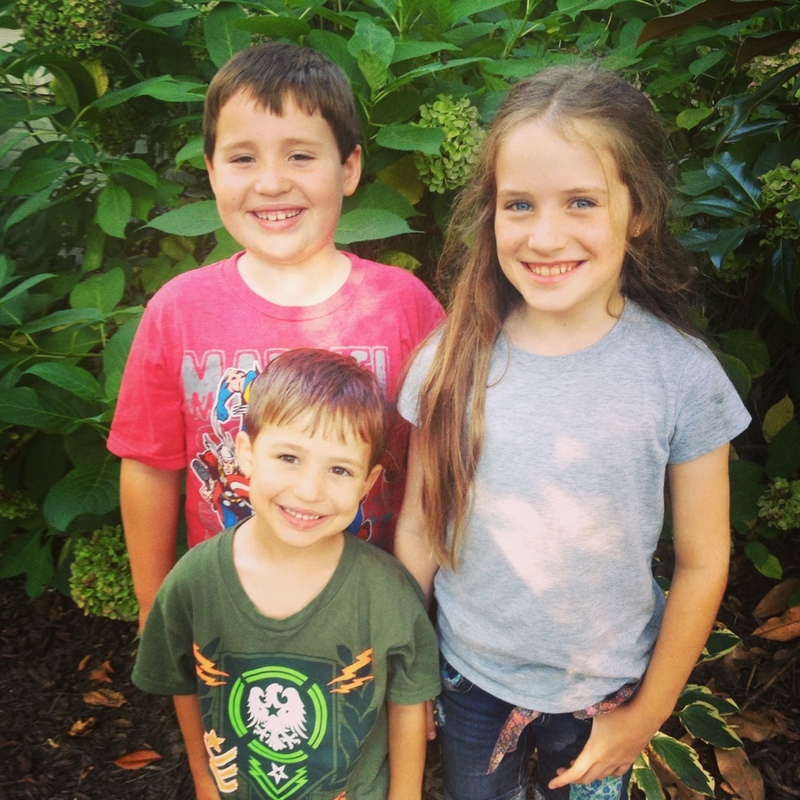 For Compassion, I wrote about what I would say to my younger self this week, advice I want to pass on to my sponsored children and my own children. And Caraline wrote a letter and drew cute little pictures of our doggies for her new friends that live in the UK. We also bought the girls a "We Miss You" card. Caraline and the boys signed the inside. We met Ashleigh and Jazmine in Nashville at our hotel pool. The two girls and my three little ones became the best of friends over the three and a half hours they played together at the pool. I've heard many people say that cursive isn't being taught in public schools anymore. I think that is a shame. How in the world will our next generation be able to read original documents, like the Declaration of Independence? What about Grandma's birthday cards? The list goes on and on... Plus, the research into how writing in cursive wakes up neural pathways is amazing. I just don't see how letting cursive slip away is beneficial to anyone. Caraline has been working feverishly to complete her cursive handwriting books! She is working in two separate curricula (because she loves both) and completed one of them this week! She basically completed one full weeks worth of lessons each day for the past 32 days - she even colored the Scripture Boarder Sheets, too! She had a goal and she kept to it! She enjoys handwriting, but wanted to be able to cross something off of the list of "things to do each day." Below is what she completed. 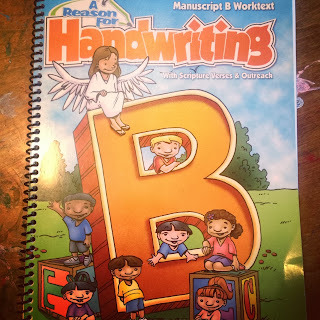 We ordered ours from Christianbook.com. 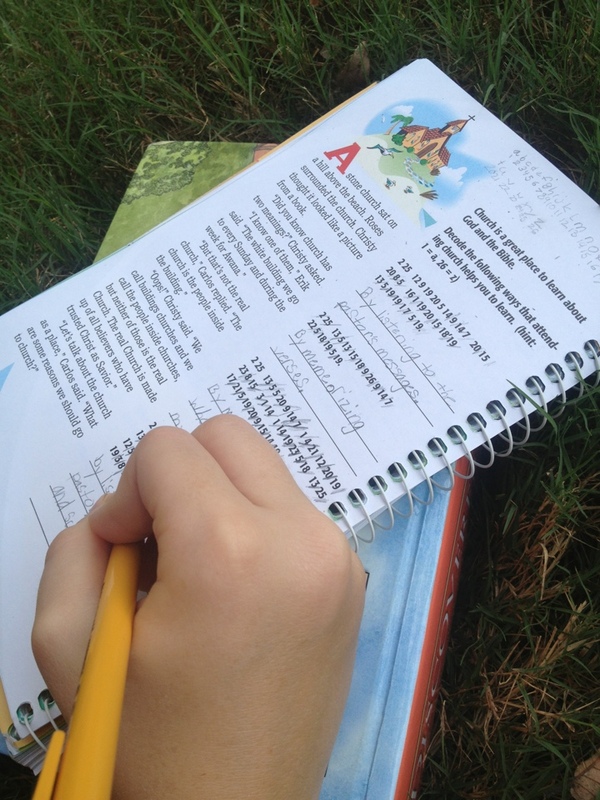 Each week you'll practice letters and groups of letters from a different Scripture verse. Then you'll write the entire verse on practice paper. At the end of each week, you'll pick a Scripture Border Sheet from the back of your workbook, write the verse in your best handwriting, and use your creative talents to color or decorate it. You can share God's Word by giving people your finished Scripture Border Sheets. The other curriculum she is using is a review item from a few months ago, Prescripts from Classical Conversations. She has only about thirty pages of the one hundred forty-five left! In the car, we are listening to The Lion, the Witch and the Wardrobe . We listened to The Magician's Nephew a couple of months ago (We LOVED it!) and I've been meaning to get started back on this series. We took a little break from Pinocchio while on vacation last week, but we listened to another couple of chapters from a free LibriVox app on my iPhone. And we read the first thirteen pages in The Story of the World: Ancient Times this week, too. All three little ones are loving their Awana handbooks and memorizing scripture for class each week. I'm enjoying being a Sparks leader, too. My favorite part has to be helping the children, that aren't prepared to say their verses, practice them before being checked off. It's a blessing to work with those little ones. I also love watching the kids play during game time. The game leaders make it so much fun! We reviewed PeopleKeys, Children's Profile this week. It's a great introduction to psychology and to understanding personality styles. 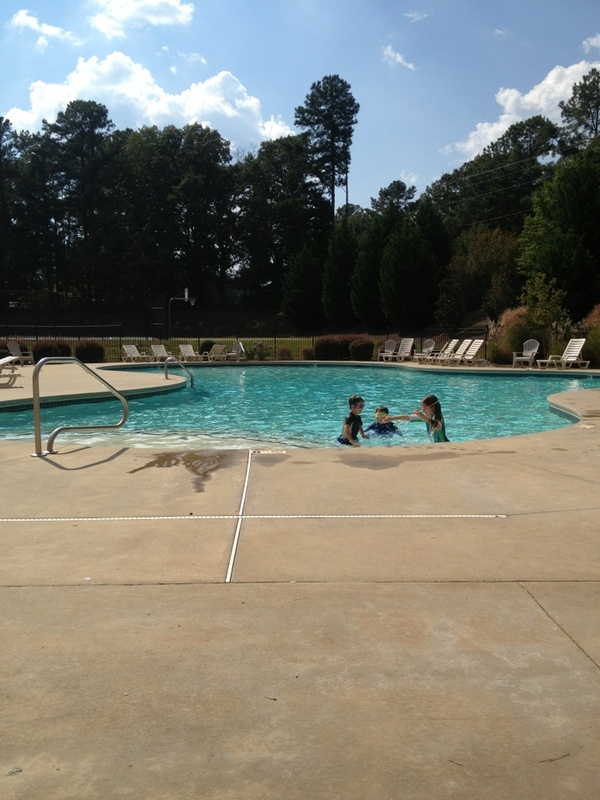 We had the neighborhood pool to ourselves, for the quick forty-five minutes we were there this week. My husband was in NY for a few days this week and actually flew home on Sept. 11. That day the kids and I watched a few "kid friendly" videos about 9/11, and we had some pretty deep discussions. It was so good to have Daddy home that night. And we had our first day of co-op! It was a fun and busy day. I am teaching the three year old class this semester. Our focus on this first day was bees. We pretended to be bees as we buzzed around to Flight of the Bumblebee and looked at a bumblebee painting, both from Can You Hear It? (a gift from a special friend). We performed a bee related finger play over and over and read through most of The Story of Ferdinand (do you remember the bee in this story?!) before I had to start paraphrasing. It's a long picture book for thirteen young three year olds! We also colored a cute little bee picture while listening to more classical music. Plus, we played on the playground during my class hour. I came home wiped out. Caraline has a history class that makes 3-D maps each week and a crocheting class. Ryan has a human body class and a PE class, and Jonathan has a science experiments class and a PE class, too. There are 89 families with a total of 209 kids enrolled in our co-op, all sixth grade and under. It's such a joy to be a part of such a wonderful group of folks. 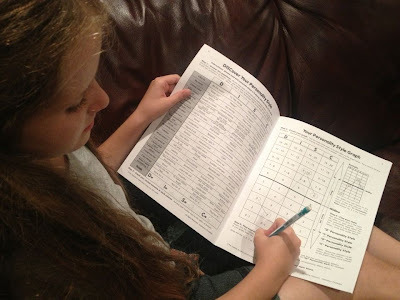 Are you part of a homeschool group? I think that's the major highlights from our week. It's Friday afternoon, It's beautiful outside. And even though my house is a disaster, (as usual, *sigh*) I'm going to quietly go out the backdoor, slip into the hammock, and savor these moments of listening to my little ones play. 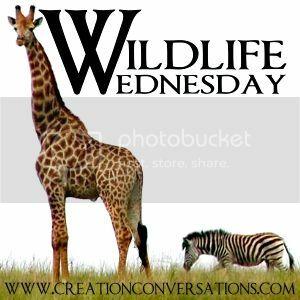 We are linking our Weekly Highlights with our friends at Homegrown Learners' Collage Friday and Weird, Unsocialized Homeschoolers' Weekly Wrap-Up and The Homeschool Mother's Journal. "We believe parents and teachers should understand and teach to their children's strengths and use strengths as a springboard to teach study skills and plan realistic/fulfilling career paths." PeopleKeys is a company that has spent over 25 years studying human behavior, personal preferences and strengths. They use a system called DISC to analyze individual's personality types. According to PeopleKeys, all of us have a little of each DISC sprinkled into our personalities - with one or two major influences or blends from the above list. Caraline, nine, and I used The Children's Profile to help identify both of our personality styles and to learn more about each DISC. Learning more about the different personalities of people is helpful in not only determining how to respond to others but also what to expect from them, too. The Children's Profile workbook is a wonderful introduction to psychology for little ones. It's intended for children nine - thirteen years old. 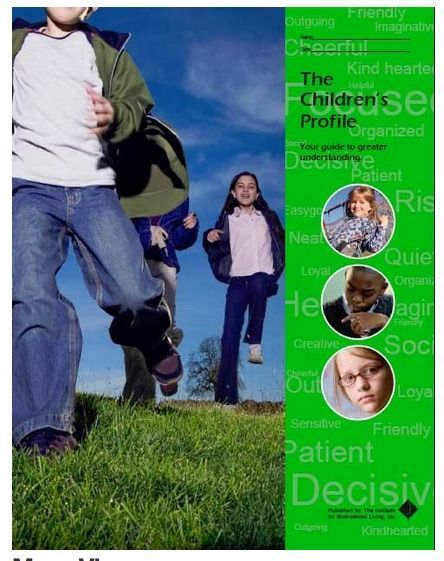 Pricing: The Children's Profile is $15 and is 25 pages long. As recommended in the workbook, I completed the DISCover Your Personality Style and Graph first. I didn't fill out my scores on her workbook though. I, of course, left that blank for her to do. We discovered we are very much the same, even our blend style. - We knew that already, but it was neat to see it "verified" by DISC. Then, we learned "What is Personality" followed by a short introduction to all four personality styles followed by a more in-depth (four pages each) discussion on the different styles. The last page for each style encourages one to try to think of people or even a cartoon character with that type of personality. A few examples are given to get you started. For example, a judge is considered determined, a sales person an influencer, a nurse steadfast, and a computer programmer conscientious. I read through all the information in the workbook with Caraline and we discussed each personality together. The last two pages feature an Action Plan for Getting Along Better With Others with an example. We took about three days to finish this workbook. It took us through the different facets of each personality style on a level she could easily understand. We learned what each is bothered by, motivated by, phrases to encourage and so much more. We gained a lot of insight and understanding on her brothers', friends', and other family member's personalities as well as our own from going through The Children's Profile. It was a fun experience. 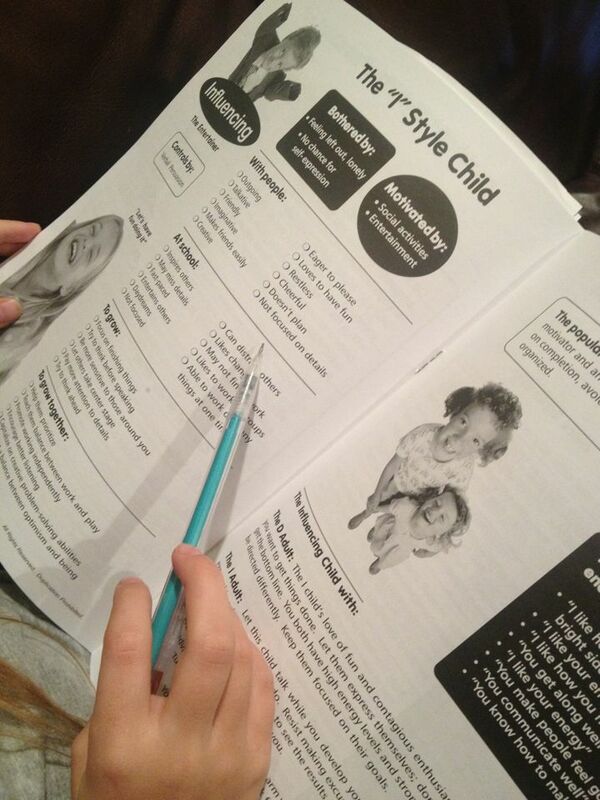 Be sure to look at the four example pages from the workbook found on The Children's Profile page. I learned how to be a better friend, how to interact with different people, and how to better understand them. Knowing how I can help encourage others and how to better get along with them makes me very happy and pleased. Knowing that I am pleasing God, because He wants me to get along with others and encourage them, is also comforting. There are several other items from PeopleKeys being reviewed by the crew. Be sure to check them out! Sweet girl, you are loved. You know you are loved by your family; the family God gave to you. But, I want you to know how much He loves you, too. No matter what happens in your life and to those you love around you, BELIEVE in Jesus and his love. Love Him back. You will never, ever lose the tender affections of your Heavenly Father. Life will not always be easy. Life isn't easy for anyone, if they are honest. But, life's hard lessons are there for you to grow and to learn. Everything has a purpose that will work out for the good- look for the good. Remember to love yourself and to put others first. Even though this world says it's all about me; remember it's not all about you. It's all about serving others in LOVE. It's about giving. Don't let anger take hold. Your parents will divorce, on your twelfth birthday, but don't be ashamed. You will learn a lot of hard lessons through their divorce that will make you stronger. You will be a better mother, wife, sister and friend through it all. Keep your head held high sweet one. God has a plan uniquely made just for you. He's given you special gifts and talents unique to only you. Use them wisely for others, and remember to love, LOVE, LOVE! This message of love is one that I want to not only impart to my younger self, but to the precious children we sponsor through Compassion, too. Knowing you are loved is vital to healing. Loving others is vital, too. All of our precious ones are from broken homes. These children need to know how valuable and special they are to Jesus and to us. Living in poverty, it's easy to think your life is worthless. Oh, but it is NOT! Won't you consider saving a child from a life of physical and spiritual poverty? Let your light shine through to a child that desperately needs you to show Jesus' love. Take a look through Compassion's website, you can search by country, gender, and even birthday. You can change the life of a child! You'll be able to write letters to the child you sponsor. You will receive letters from that very child. The letters shared will become forever keepsakes for the both of you. If you have any questions at all about sponsorship, I'd be happy to help answer them! 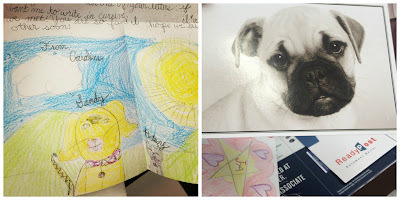 This is the first writing assignment for Compassion International's Blog Month 2013 ~ What words of encouragement would you say to your younger self? This precious six year old's name is Miguel. He lives in Ecuador with his grandparents. He helps by gathering firewood, caring for the animals and running errands. He is in kindergarten and loves to play group games and sing. He needs a sponsor. He's been waiting 374 days. UPDATE: Miguel has been sponsored!! This sweet little girl is Mileidy. She lives with her mother in Peru. "At home, duties include making beds and helping in the kitchen. Her mother is sometimes employed as a seller in the market. There are 2 children in the family. As part of Compassion's ministry, Mileidy participates in church activities. She is also in primary school where her performance is average. Volleyball and playing with dolls are her favorite activities. This adorable sweetie is Mave. He lives in Togo. He's been waiting 344 days for a sponsor. "In his home, Mave helps by helping in the kitchen and running errands. He lives with his father and his mother. His father is sometimes employed and his mother is sometimes employed. There are 2 children in the family. Mave is not presently attending school. Soccer, art and listening to music are his favorite activities. He also attends church activities and Bible class regularly. 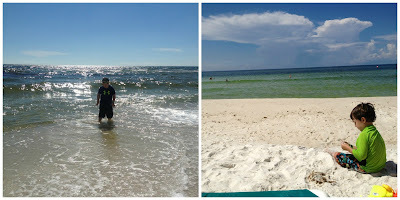 We enjoyed a vacation with lots of family to the Gulf of Mexico. This beach is only about an hour and a half from where I grew up, and it's a favorite destination for all of us! Our oldest son and my husband spent hours in the ocean. Ryan LOVES the water! Jonathan and Caraline love the sand and looking for seashells the most, but they enjoy the ocean, too. 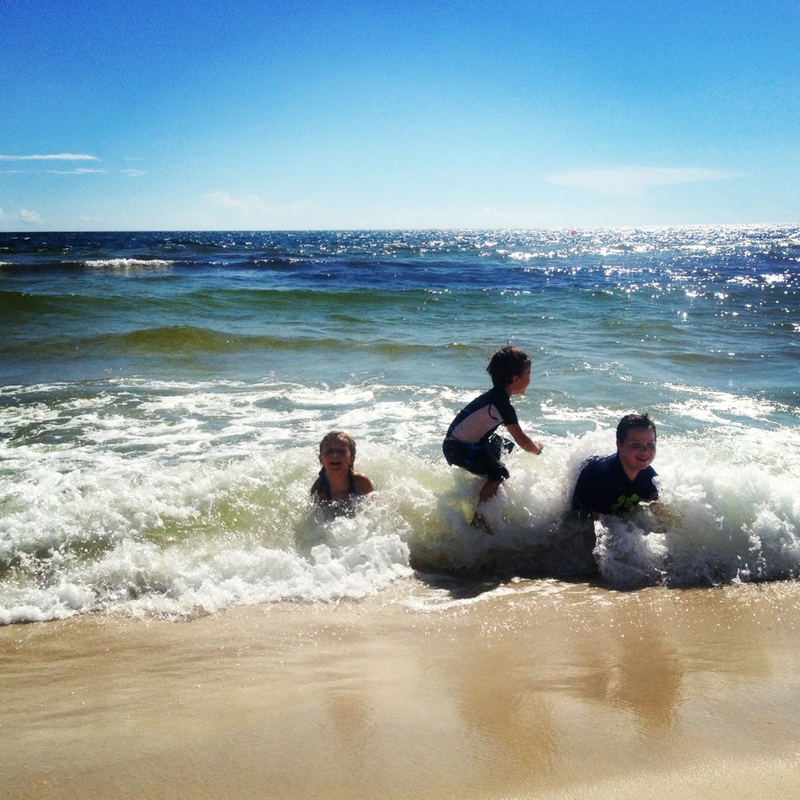 Our whole crew spent lots of time on the beach, in the ocean, and lots of time in the pool! It was so much FUN! Everyone's favorite activity hands-down is ghost crab hunting ~ at night, of course! We grab flashlights and a sand pail and head out to the shore. No need to bring a net. 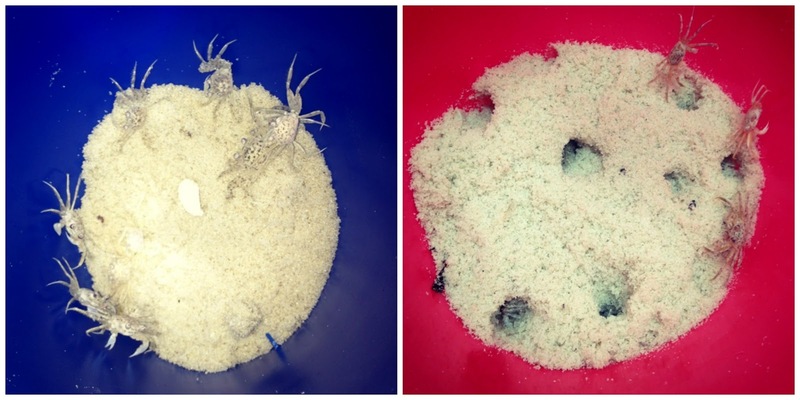 The best way to catch these fast little guys is with your hands! 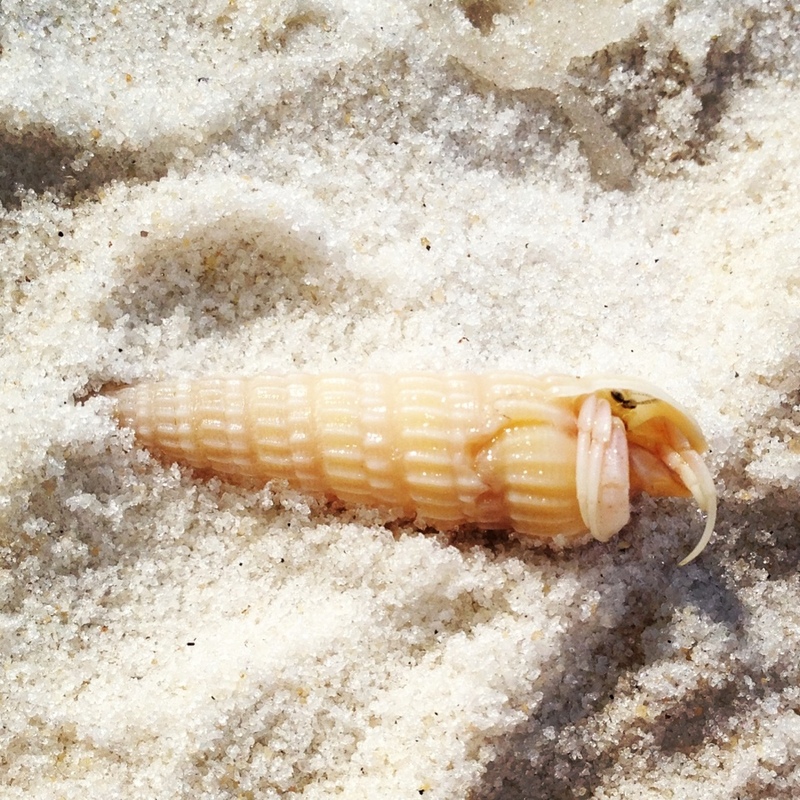 They live just beyond the waves on the sandy shore. They burrow during the day and scurry all over hunting at night. Everyone is in competition to a) catch the most and b) catch the biggest! 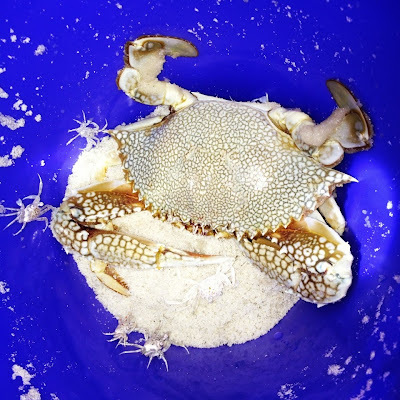 The largest ones we've caught are about the size of a half-dollar. A couple from Alabama caught two of these big guys in shallow water. They gave both to our little ones. 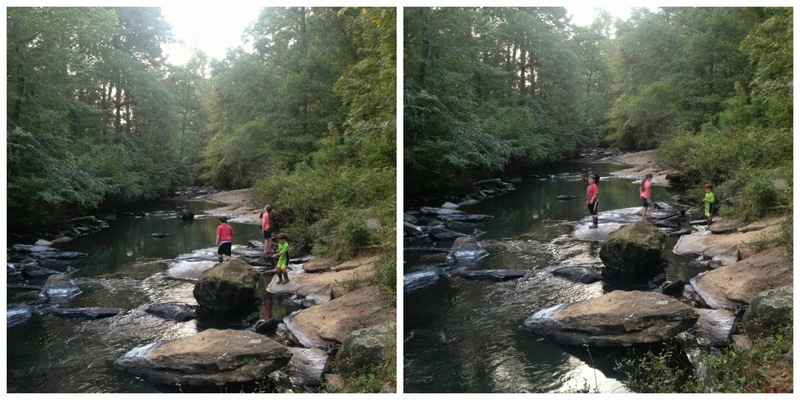 We observed them for a little while and released them. And, we enjoyed some playtime at an amusement park. Caraline found out she can do triple back flips on the bungee jump. 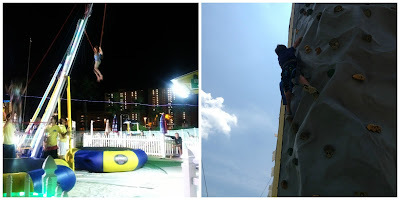 Jonathan loves heights- no surprise! And, Ryan enjoyed the spider climb. 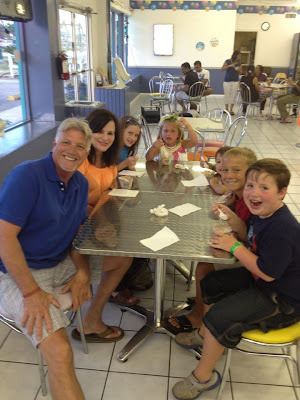 Being there with our family was so much fun! ~ I know I keep saying that but it's so true! And, the absolute best part of our vacation was having my mom and dad there - with all of the grand kids! They are divorced, and they are friends - just friends. We will always be family. It's so nice to finally be able to act like one again! It means so much to be able to do fun things together. If only my brother and his wife could've made it down. They were the only ones missing! Thanks Mom and Dad for spending time together with all of us! It means the world. 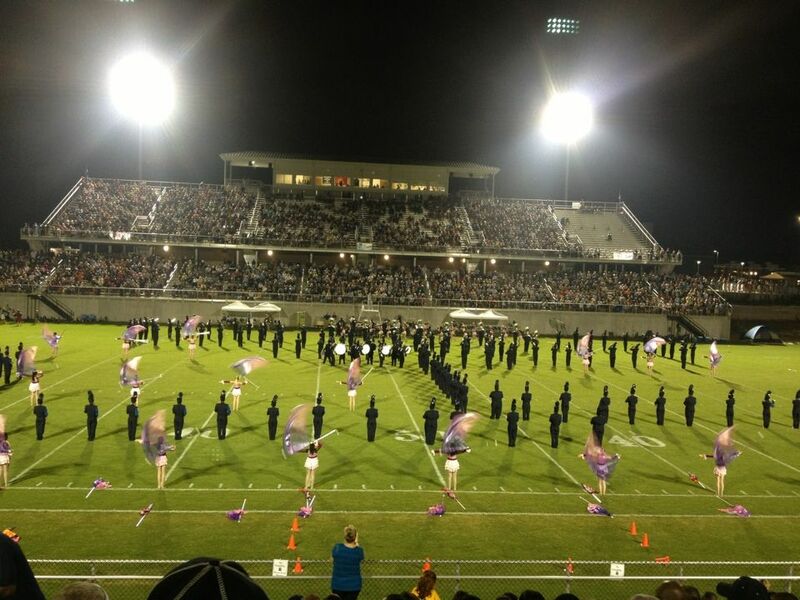 We made it back to Alabama in time to watch my high school's football game. We have family all over the stands and on the field, too. Seeing A Very Special Person! I just have to share this sweet story with you. I noticed a special sixth grade elementary teacher in the stands. He wasn't my teacher, but I grew up in that elementary school from first to sixth grade knowing him, and he was just a special, special person. I would see him occasionally throughout my jr. high and high school years. He's long since retired. I was sitting next to my aunt and I leaned over to her asked if she thought he'd remember me, after all it's been 26ish years since I was in sixth grade. I began walking down to where he was sitting, and as I walked over to him he stood up and said, "Hope, how are you?" I started bawling right on the spot, in front of everyone. How special for him to not only recognize me, but to remember MY NAME. We talked for a few minutes, until half-time was over and throughout the night I found my eyes tearing up. It meant so much for him to call me by my name. The next day we went fishing! My sister snagged this big guy and called Jonathan over to reel him in! My brother waded into the water to bring him home. Jonathan was so proud! We put him back into the pond and Jonathan is determined to find him again; when he's even bigger! This week was filled with lots of bonding and family fun! I'm so glad we were all able to spend this special time together! 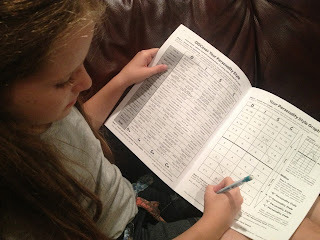 And we did a little bit of school work on the one day we were home. 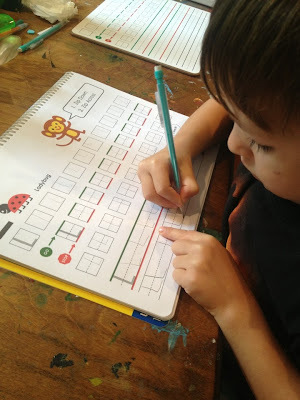 Jonathan is working on a super cute review item for handwriting called Funanoodle. It was developed by occupational therapists. Caraline had piano lessons and while she was there, I got to chit chat with an inspiring mom that is in our homeschool co-op. They are in the process of adopting a child from Latvia. He's home with them now. It's not easy; they are walking in faith. 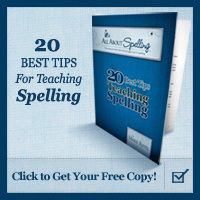 If you want to be inspired, visit their blog. Liberty's Kids the complete 40 episode series is on sale right now on Amazon for less than $7. I always miss the big sales. I bought this set last month because I knew we were going to be traveling a lot, and I wanted the kids to watch something fun and educational while we were on the road. You can't beat the price ~ think Christmas present! Caraline has been using a free app to brush up on her US states geography. It's fun. I like to play it, too. Other fun geography apps we like to play are Stack the States and Stack the Countries. This month is Compassion International's Blog Month 2013 the goal is to bring over 3,000 children out of poverty this September. 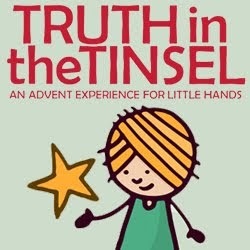 If you've been thinking about sponsoring a child and becoming involved in this ministry, now is a great time to start! Our first blog assignment was to write a letter to our younger self; this is what I had to say.